This Military Service Page was created/owned by Barbara Rote-Family to remember Shields, Marvin Glenn, CM3. 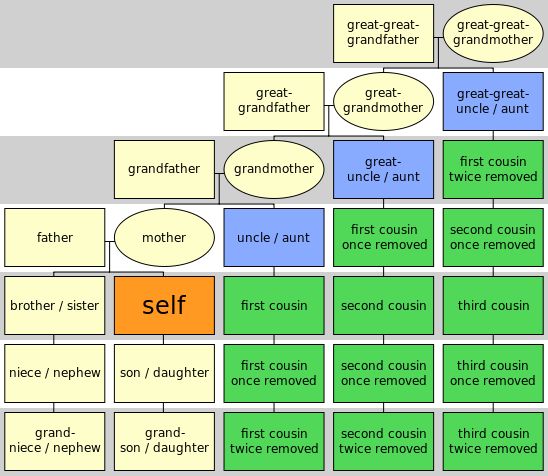 My dad is CM3 Marvin Glenn Shields. He was born 30 December 1939 in Port Townsend, WA. After graduating from high school in 1958, he worked in the gold mines of Hyder, Alaska. He joined the Navy as a Seabee in 1962. After being stationed in Glynco, GA; Okinawa; and Port Hueneme, CA, he was sent to Vietnam in February 1965. While in Vietnam he was attached to the 5th Special Forces Group (Airborne) , 1st Special Forces. My father was mortally wounded during an ambush at Dong Xoai and died 10 June 1965. For their actions during that battle 2LT Charles Q. Williams and my father were awarded the Medal of Honor. Marvin Shields laid to rest at Gardiner - The Gardiner Community Church was full to overflowing last Saturday afternoon for the funeral of Marvin Glenn Shields. Rev. John Thomson presided at the first half of the service while the second half was under the auspices of the Jefferson Masonic Lodge No. 107, Gael Stuart was the soloist, accompanied on the electric organ by Elizabeth Ammeter. Marvin was buried in the most beautiful spot of the Gardiner Cemetery which overlooks Discovery Bay. An honor guard of Marines fired a volley over the grave followed by the sounding of taps by the Navy. The American flag which draped the casket was folded by two of the Navy men and presented to Marvin's widow Joan by Melville Williams, USN, who had accompanied Marvin's body from San Francisco. Melville, who is from Discovery Bay, was a very close friend of both Joan and Marvin. The Rev. Mr. Thomson read a letter during the service which had been received only the day before by Joan. It was from Marvin's commanding officer. In it were cited many of Marvin's heroic deeds and expressions of esteem as voiced by his associates in Viet Nam and also how well he was regarded by the natives. Many beautiful floral pieces from family and friends were arranged at the church. WASHINGTON (AP) The name of Marvin Glen Shields, a Seabee, was enrolled Tuesday alongside those of the nation's great heroes. Shields, from Port Townsend, Wash., was awarded the Medal of Honor posthumously for heroism in Viet Nam. Shieldsï¿½ daughter, Barbara Diane, who will be three years old in January, was too young to understand the solemnity of the award ceremony in President Johnsonï¿½s office. She romped about in the office, dropping and picking up her small pocketbook, until Johnson picked her up, placed her on his desk, and put an arm around her. Secretary of the Navy Paul H. Nitze read the citation before Shieldsï¿½ closest relatives, military brass, and members of Congress. Those on hand included the heroï¿½s widow, Joan Elaine Shields of Seattle; his father, William Glen Shields of Mariana, Calif.; his mother, Victoria Blanche Casselery of Port Townsend, and a brother, Ronald M. Shields of Camp Washington. Another present was 1st Lt. Charles Williams of Vance, S. C., who was awarded the Medal of Honor, the nation's highest military decoration for heroism, for the same action in which Shields lost his life. Johnson said Shields, by his heroism in a 14-hour battle at Dong Xoai on June 10, 1965, saved the lives of many of his comrades. Although twice wounded, the citation said, he continued to supply his fellow Americans with needed ammunition and to return the enemy fire for hours. Johnson said Shields is the first Seabee ever to be awarded the Medal of Honor. "While they were primarily builders and instructors, Seabee Team members were sometimes directly involved in battle. Perhaps the most famous such battle occurred in June 1965 at Dong Xoai, 55 miles northeast of Saigon. When Viet Cong troops overran a Special Forces Camp containing 400 South Vietnamese and allied Asian troops, 11 men of a U.S. Army Special Forces team and nine men of Seabee Team 1104, seven of the Seabees were wounded and two killed. One of the dead was Construction Mechanic 3rd Class Marvin G. Shields, USN, who was posthumously awarded the Medal of Honor for conspicuous gallantry in carrying a critically wounded man to safety and in destroying a Viet Cong machine gun emplacement at the cost of his life. Not only was Marvin Shields the first Seabee to win the nation's highest award, but he was also the first Navy man to be so decorated for action in Vietnam." 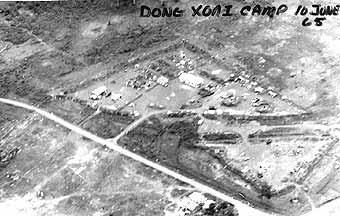 The Special Forces camp at Dong Xoai, a district capital in Phuoc Long Province, was established in late May 1965. In addition to the Army Special Forces personnel, a Navy SeaBee team was provided to assist in construction of the compound. Since Dong Xoai lay astride a Viet Cong supply route from Cambodia into War Zone D enemy commanders had good reason to destroy the encampment before it was finished. At about 11 PM on the night of 9 June, the South Vietnamese forces around Dong Xoai were attacked by the 762nd and 763rd VC Regiments and beginning about 11:30 PM the camp itself came under heavy mortar and ground attack. Since the earthen berm and defensive positions around the compound had not been completed, the VC had little difficulty in penetrating the perimeter and overrunning much of the camp. Bitter fighting continued through the night, with the defenders pushed back further into the camp. Air and artillery support was used to prevent the VC forces from massing for a final assault, and at dawn on 10 June the defenders were still holding out. Elements of the 1st Bn, 7th ARVN Regiment were inserted into two landing zones at about 0800, but the VC had anticipated the move and both LZs were very well defended. One helicopter with 7 Americans aboard was destroyed, and the ARVN units which did make it onto the ground were rapidly destroyed as well. Although further landings were held in abeyance, helicopters from the 118th Aviation Company did manage to pull out a dozen or so survivors from the camp proper. In the afternoon, after heavy air strikes, the 52nd ARVN Ranger Battalion was inserted a short distance from the camp and by sundown had fought their way not only into the camp but into Dong Xoai city itself. Additional ARVN forces were brought in on 11 June, but by then the majority of the surviving VC forces had withdrawn into the jungles north of the camp area. The final US casualty at Dong Xoai was an Air Force pilot, Captain Thomas Holland, who was shot down on 12 June while making a rocket attack on a VC position. Captain Holland was able to eject but his parachute tangled in a tree, leaving him dangling above the ground. An Army Huey landed about 200 meters away and two crewmen ran toward Holland's position, arriving just in time to see the VC shoot Captain Holland; they made it back to their helo barely ahead of pursuing VC. For conspicuous gallantry and intrepidity at the risk of his life above and beyond the call of duty. Although wounded when the compound of Detachment A342, 5th Special Forces Group (Airborne), 1st Special Forces, came under intense fire from an estimated reinforced Viet Cong regiment employing machineguns, heavy weapons and small arms, Shields continued to resupply his fellow Americans who needed ammunition and to return the enemy fire for a period of approximately 3 hours, at which time the Viet Cong launched a massive attack at close range with flame-throwers, hand grenades and small-arms fire. Wounded a second time during this attack, Shields nevertheless assisted in carrying a more critically wounded man to safety, and then resumed firing at the enemy for 4 more hours. When the commander asked for a volunteer to accompany him in an attempt to knock out an enemy machinegun emplacement which was endangering the lives of all personnel in the compound because of the accuracy of its fire, Shields unhesitatingly volunteered for this extremely hazardous mission. Proceeding toward their objective with a 3.5-inch rocket launcher, they succeeded in destroying the enemy machinegun emplacement, thus undoubtedly saving the lives of many of their fellow servicemen in the compound. Shields was mortally wounded by hostile fire while returning to his defensive position. His heroic initiative and great personal valor in the face of intense enemy fire sustain and enhance the finest traditions of the U.S. Naval Service.